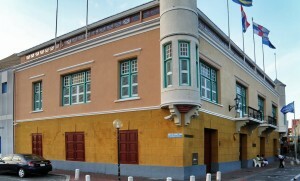 WILLEMSTAD - The MCB Bank contributed 153 million guilders to the Treasury last year. This can be seen from the 2016 annual report. 31 million guilders were paid on income tax and 6 million for sales tax. The rest consisted of the payment of social security contributions. In total, the bank employs 1,500 people on all six islands.